General Muhammadu Buhari, the presidential candidate of the All Progressives Congress, graduated from the United States Army War College in 1980, the college confirmed on Thursday. The confirmation is contained in an email response to Sunday Iwalaiye, a US-based Nigerian who contacted the institution in view of the controversy about the General’s academic credentials. 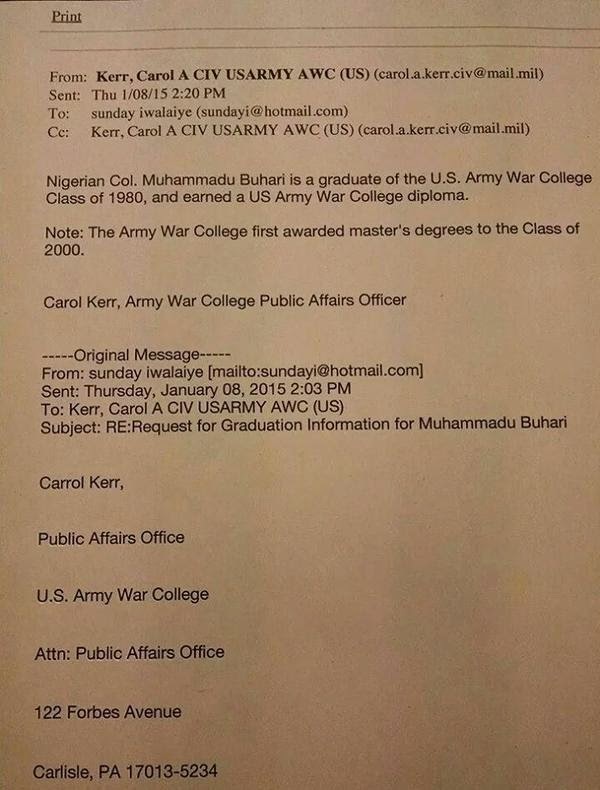 Carrol Kerr, the school’s Public Affairs Officer, said that Buhari earned a diploma. He was at that time a colonel. She made it clear it was not a masters course as the college only began to award Masters degrees with the class of 2000. I was in Abuja when el-rufai was minister so I know he can work, though he hasn't satisfactorrily answered the corruption charges against him. 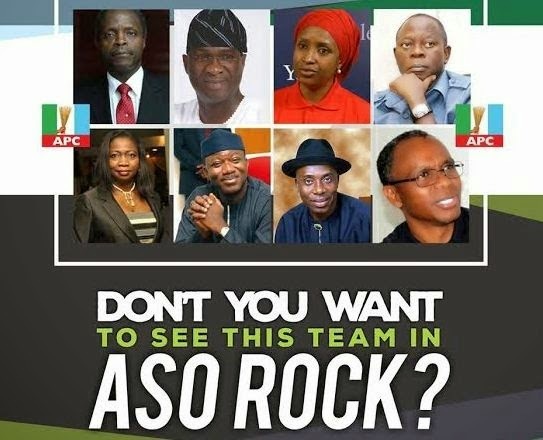 As to the rest, apart from Fashola, I don't know the others too well or how much they were able to accomplish as governors. What do you think?